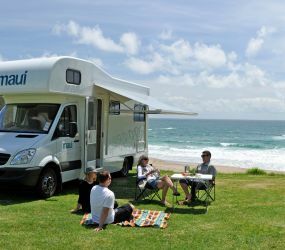 ​​​Our Christchurch team can help you with everything you need to know about hiring a campervan or motorhome. On arrival, the team will get you on the road as quick as they can whilst making sure you have all the information you need to know. 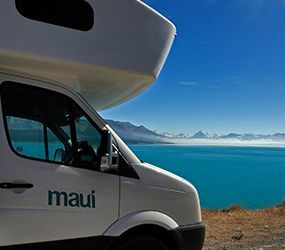 There will be some campervan hire or car rental agreement documentation to go through, but if you would like to familiarise yourself with the rental agreement/s before arriving in New Zealand, you can can find these at the bottom of this page. Wish to save some time? You can use our self check-in option. 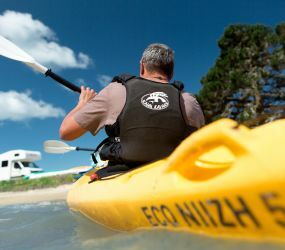 You will also be given a Travel Wallet that has a travel guide to New Zealand, including maps and handy information such as designated places you can stay and how to dispose of your waste. 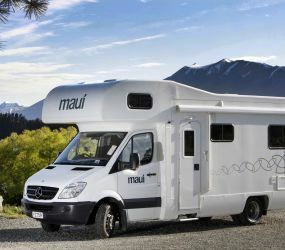 First time hiring a campervan or motorhome? 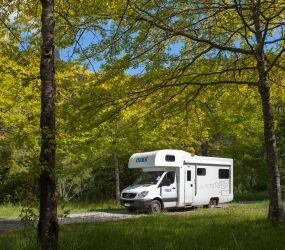 If it is the first time you have hired a campervan or motorhome, there’s no need to worry as our expert team are here to show you how to operate your vehicle. We have also prepared DVDs that walk you through all the functions of the camper from how to operate the gas to making up the beds. If you’re travelling in a campervan or motorhome with a DVD player, grab a copy so it’s there if you need it. Alternatively, of course, you can call us anytime 24/7. The maui Christchurch rental branch also has free wireless internet available if you wish to check in with home via email or social media. Our knowledgeable staff can recommend the easiest route heading north or south depending on your chosen destination. We also have GPS units for hire which you may find handy for your campervan holiday. We offer a complimentary airport transfer shuttle service. All you have to do is give us a call from our handy airport desk in the international arrival hall or the freephone in the domestic area. Our driver will be with you shortly and will drop you off right at the door of our branch. This service is also available from our branch to the airport when you drop off your motorhome. When you drop off your motor home, there is a service station practically next door, so not far to go if you need to fill up your fuel. Our complimentary airport transfer shuttle is also available. If you have selected the Maui Premium Package, you can also take advantage of our Express Return service – all you have to do is drop the keys off at the dedicated desk and you can set off on your way with the minimum of fuss.